This is a compliation of weblinks to the various press releases and related articles about the 2010 launch of Tango Club, the latest CD by the CT Tango Ensemble. It is released on the new Record Label Good Music World. 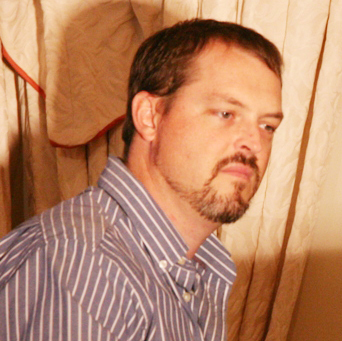 This page will be updated as new postings appear. 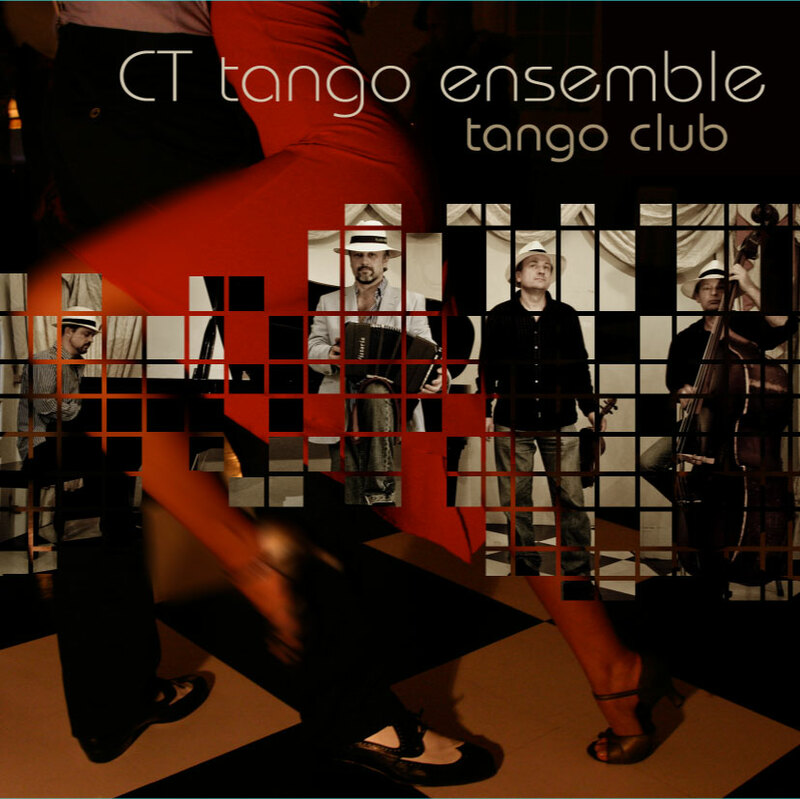 Press Release: CT Tango Ensemble CD Launch – “Tango Club” – Baxter Concert Hall 23/03/2010, 20.15 – the original press release contains the Launch Concert Poster, the CD Cover as well as photographs of all artists on the CD. 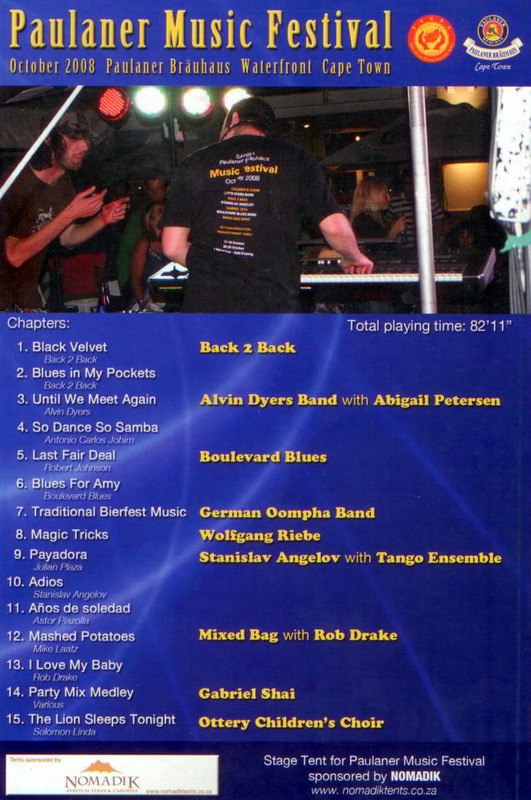 CT Tango Ensemble on YouTube – ADIOS by Stanislav Angelov (From the lastest CD “Tango Club”) – a brief introduction to the song Adios by Stanislav Angelov, and a YouTube link to our performance of it at the Paulaner Music Festival 2008, at the Victoria & Alfred Waterfront, Cape Town. 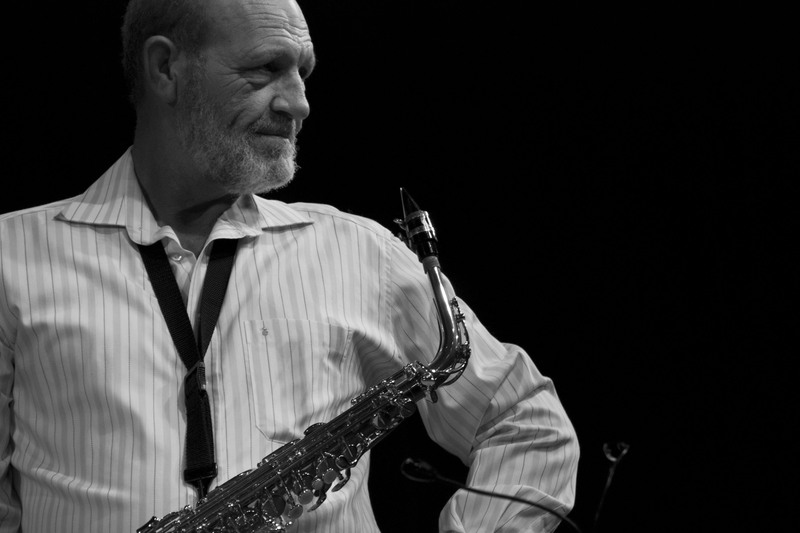 Astor Piazzolla: Cobblestone to Dancefloor to Concert Hall – a discussion of the birth of Piazzolla’s Tango Nuevo style, and the Cape Town Tango Ensemble’s affinity for and history with this wonderful composer. 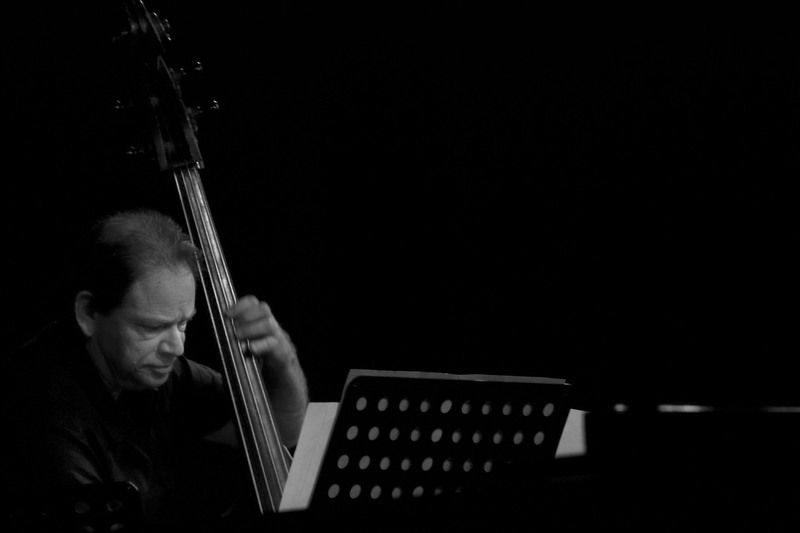 Cape Town Tango Ensemble MP3 and Video clips – a selection of websites that sell MP3’s or carry demos and visual material from shows and concerts we have done in the past, including our two CD releases. 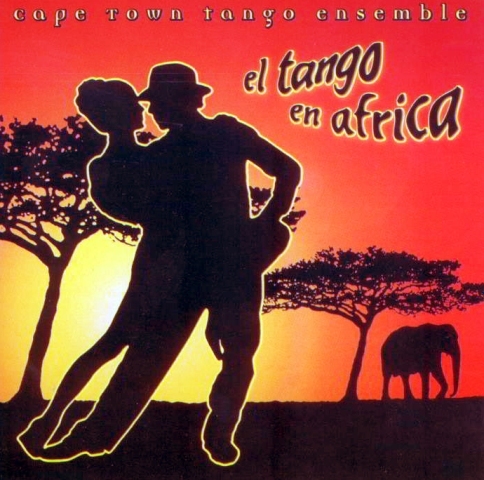 Milonga del Angel: Cape Town Tango Ensemble dancing with Angels – a discussion of this work, central to the work of both Piazzolla and the CT Tango Ensemble. 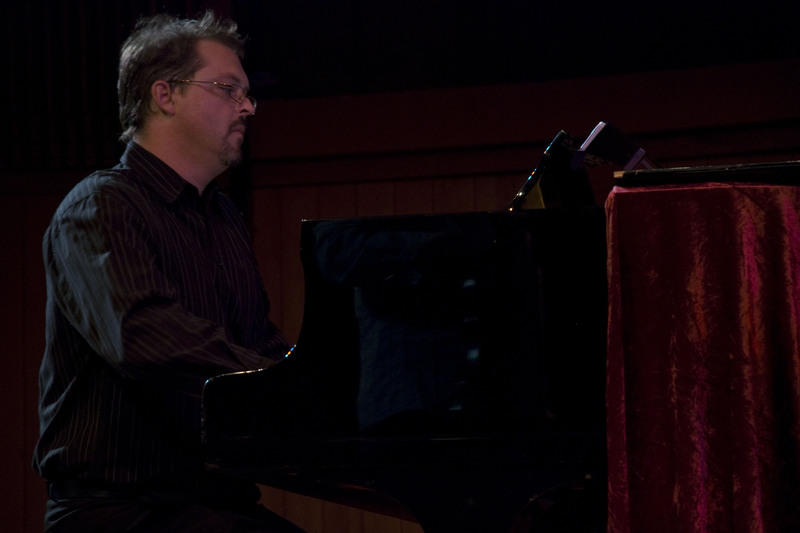 It contains discussion about the individual contribution of our guest artists on the album, such as James Grace. La Muerte del Angel – CT Tango Ensemble – a discussion of Fugal writing, and Angel Symbolism in Piazzola’s works. 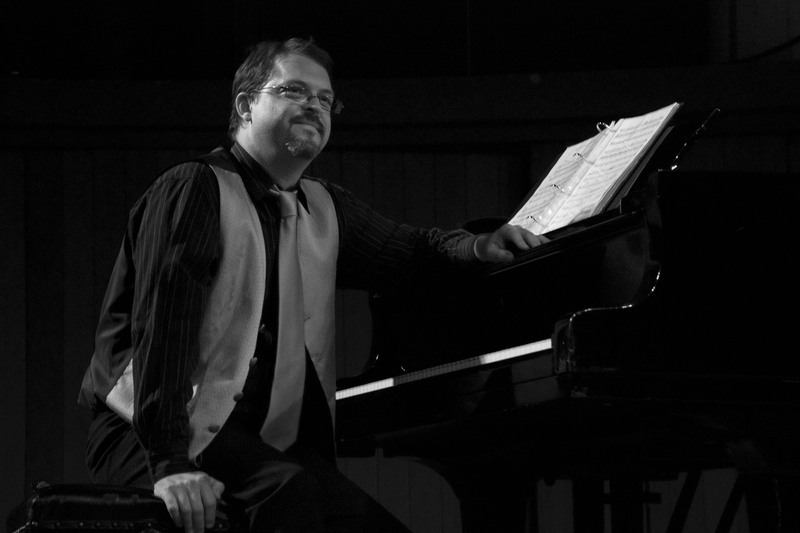 It also discusses how my arrangement of this work explores the affinity between Piazzolla and other 20th Century classical composers such as Igor Stravinsky. 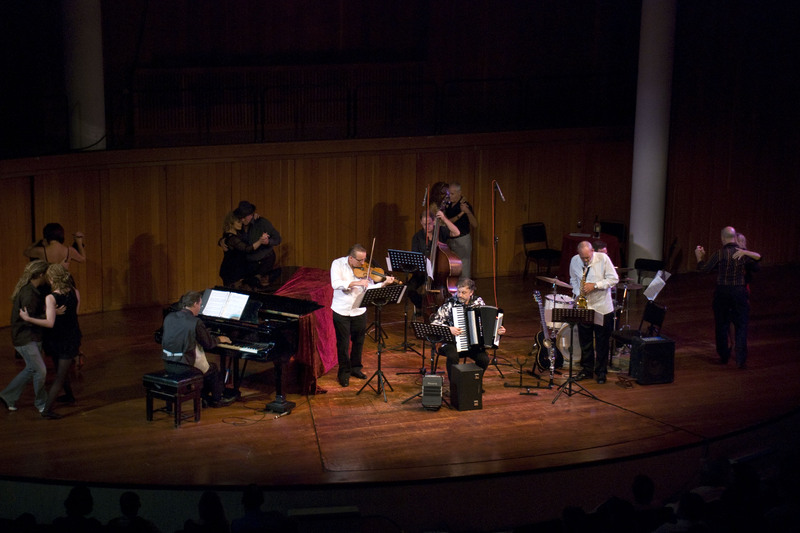 CT Tango Ensemble blends the old and the new in Julian Plaza’s famous milonga – a discussion around the roots of the Tango in Argentina during the early 20th Century. It also explores cultural traditions around the social conventions of the dancefloor, and uses our recording of Plaza’s Payadora as an illustration of the challenge and complexity of blending tradition with innovation. Bandoneon – King of Tango: CT Tango Ensemble’s Stanislav Angeulov talks about using the Bandoneon on their new CD “Tango Club” – a discussion of how Angeulov – originally a solo Accordionist – came to play the Bandoneon in the first place. Through interviews with Angeulov and Rodolfo Mederos, this posting explores the relationship between the Tango and the Bandoneon. 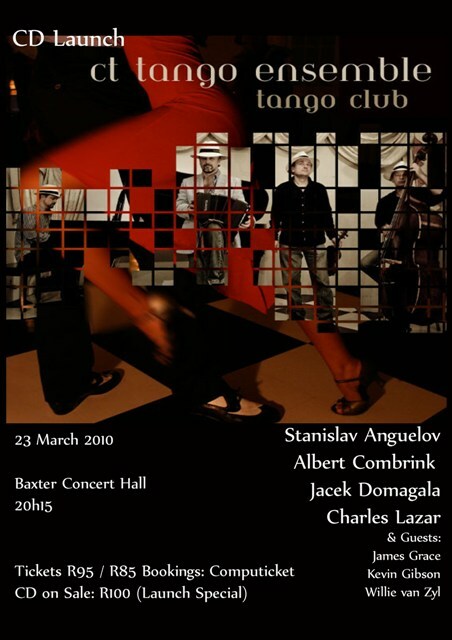 CT Tango Ensemble CD Launch Baxter Concert Hall: 23 March 2010, 20.15 – the poster for the launch event – a live Milonga on stage. Reviews of “Tango Club” by the CT Tango Ensemble – a collection of press-reviews of the CD and launch concert. CT Tango Ensemble CD Launch Photos – a post with photos from the highly successful Launch Concert at the sold-out Baxter Concert Hall. The post contains links to two more posts of pictures. 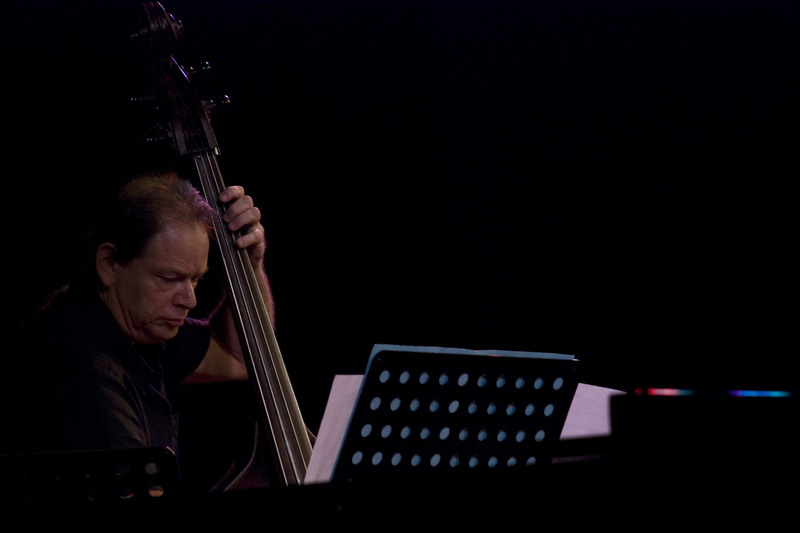 The CT Tango Ensemble have been performing for a decade. 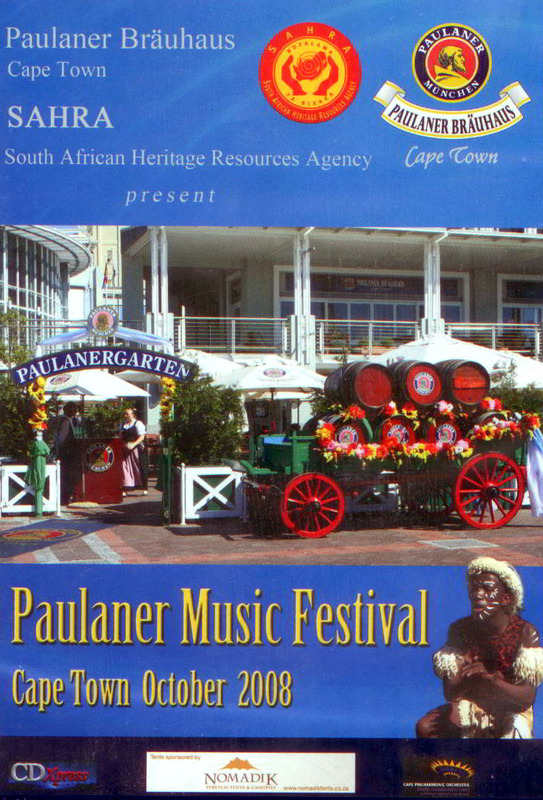 We are a South African based group that includes a Polish Violinist and Bulgarian Accordionist and Bandoneonist. 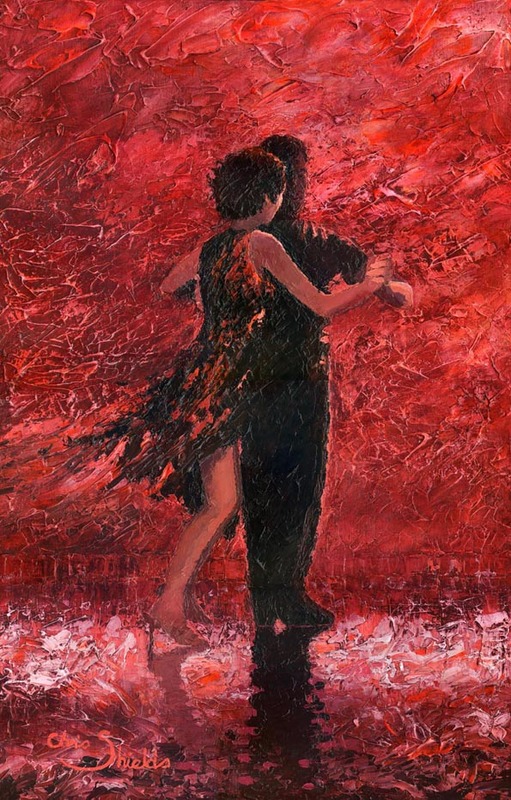 When we first started playing Tango, Stanislav Angelov (variously publicised as Anguelov, Angeulov or Angheolov, and sometimes – in desperation – simply as Stanislav!) performed on the Accordion, the instrument he had studied since his childhood. 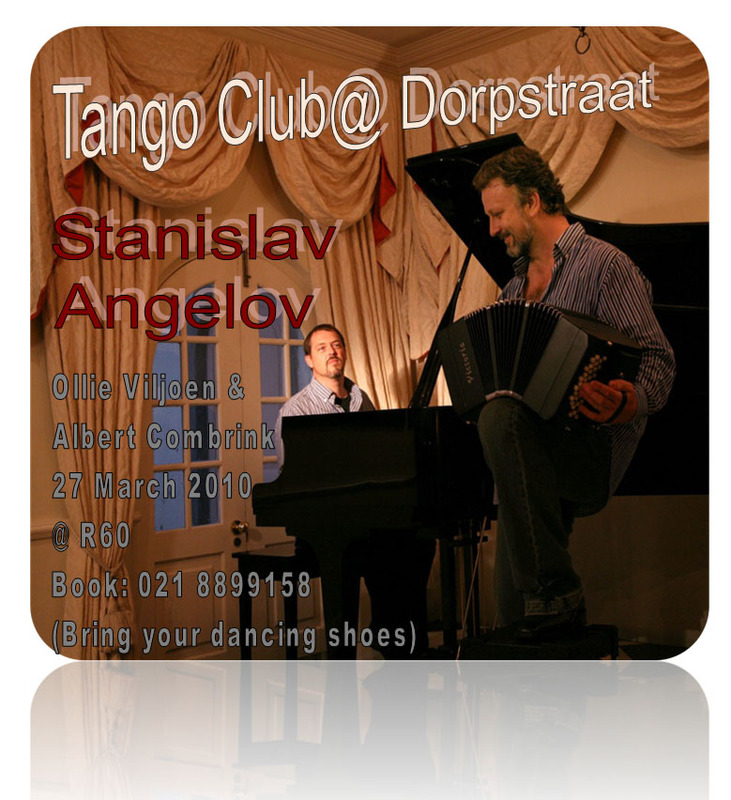 In a companion posting Bandoneon – King of Tango, I described some of Stanislav’s reasons for wanting to study the Bandoneon and his fascinating journey with the Cape Town Tango Ensemble. Stanislav is the only musician I know who performs on both the Accordion and the Bandoneon at this level. 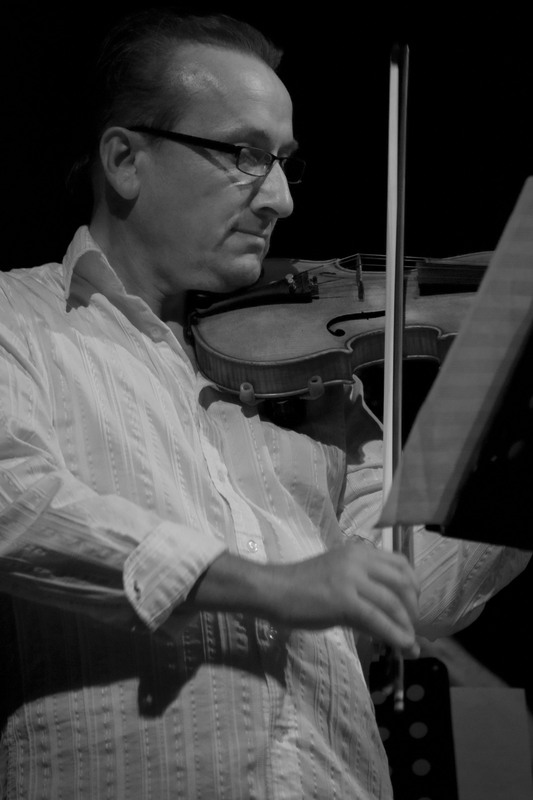 On the CT Tango Ensemble’s latest CD Tango Club, Stanislav has recorded on both instruments. This makes him uniquely qualified to talk about the different aspects of performing on these related instruments. 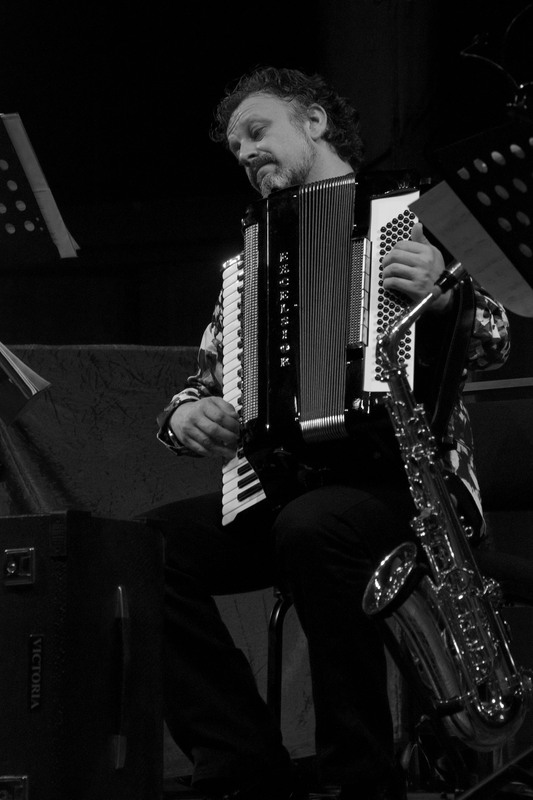 Stanislav was brave to attempt to record Tango on the Accordion on our first CD El Tango En Africa and he was praised, by both Accordeon and Bandoneon players, for a deep understanding of the music. 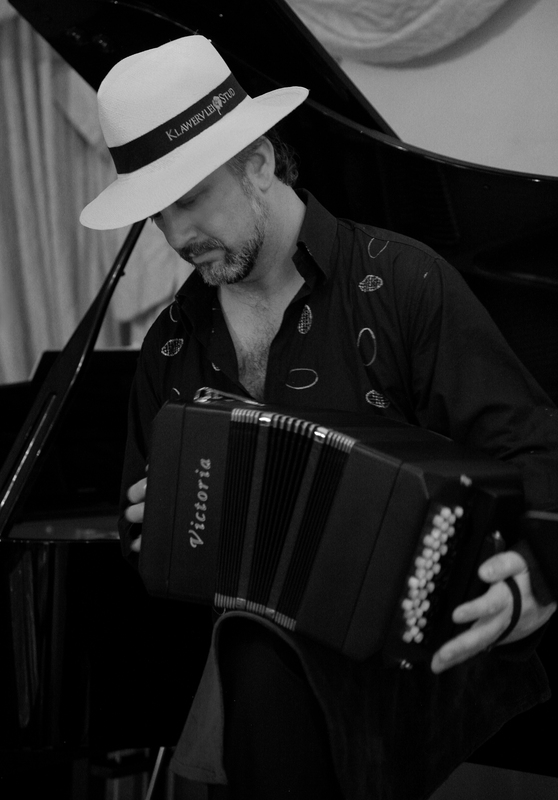 (Accordions Worldwide awarded the CD 4 stars) Tango aficionados were sceptical about the Accordion being used in the ensemble instead of the traditional Argentine Bandoneon. But when they heard the product, people were won over. Yet, since we loved the recordings of the great Tango masters – such as Piazzolla, Mederos, Troilo – we had to explore different sounds. When budget allows, we add singers, saxophone, guitar or occasionally a drum kit. Once or twice we have even had 2 violins added to our quartet. These instruments come and go, but the constant is the Accordion and the Bandoneon, and Stanislav performs on both in one concert, depending on the repertoire. To non-musicians this might seem a small issue, but in the passionate “Tangoland”, opinions are absolute, arguments are heated, friends and lovers are made and lost, over aspects of truth and authenticity. 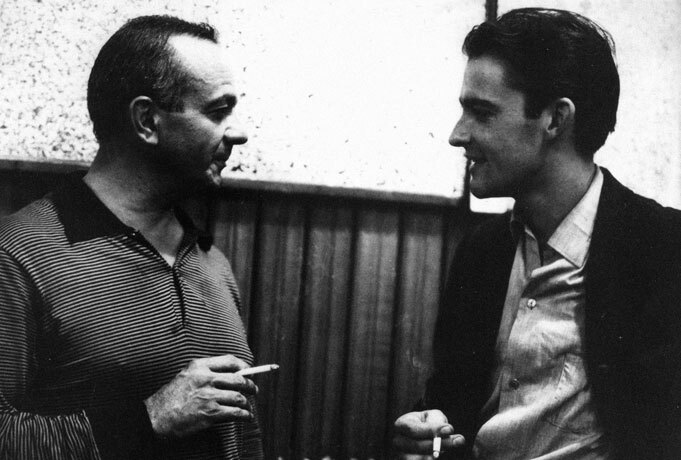 Astor Piazzolla got into such trouble for his innovations in Tango music, that his life was threatened. A dancer actually heard his Tango Nuevo on the radio and went to the radio station to shoot this man who was supposedly killing the dance! Listening to Dancers or Dance teachers speak about the tango can be confusing. 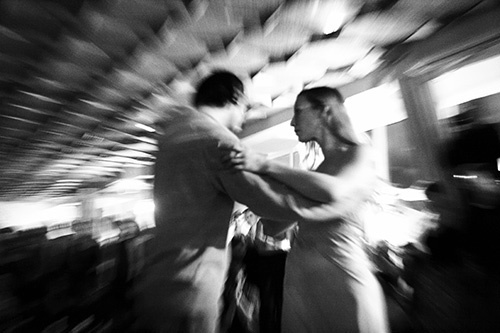 Argentine “Close Embrace” dancing is intense and intimate, while Ballroom Tango (one of the incarnations of Tango after its export to the salons of Paris) is more flashy and exhibitionist. 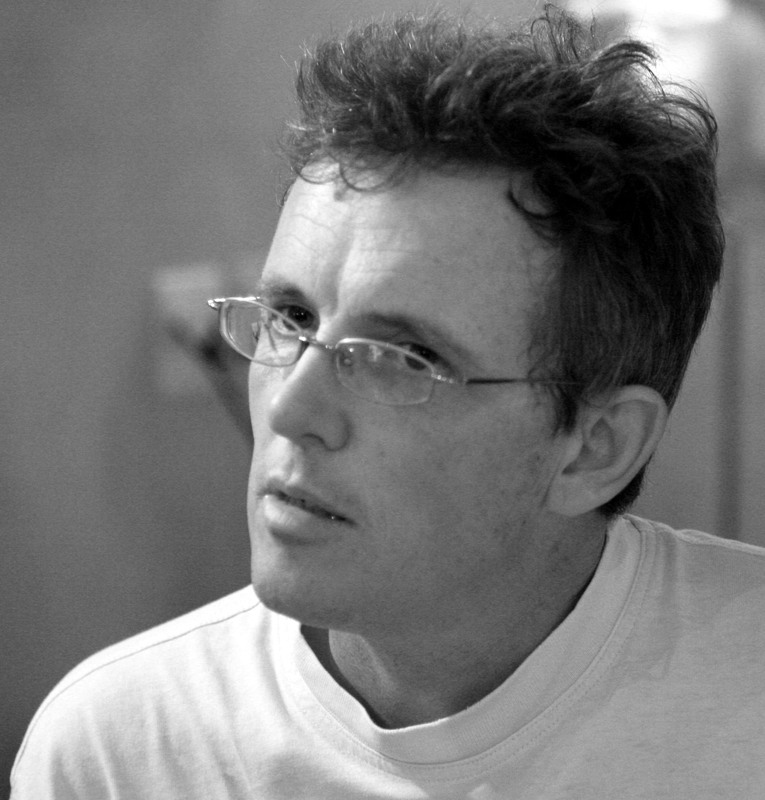 Our ensemble has performed with world-class and world-renowned Tango dancers such as Eric Jorissen, for whom the intimacy of “Close Embrace” is the primary objective of the dance. And yet, I have been told by a Ballroom aficionado that they find this style of dancing boring and “inauthentic”. 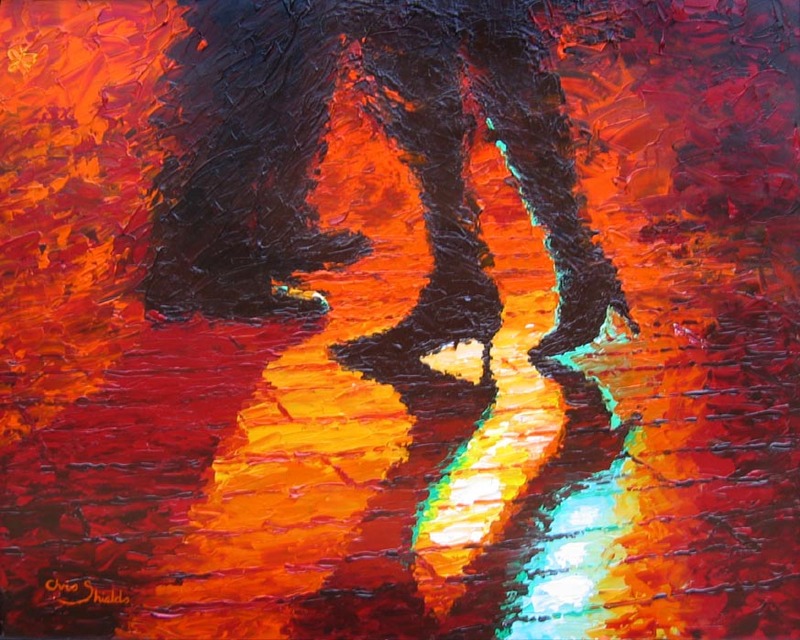 At the same time, many Argentine Tango dancers consider Ballroom dancing – and even any for of choreography – to be shallow and superficial. “Strictly Come Dancing” or “Come Dancing Strictly”? The truth is – of course – that both are valid. Both are responses to the music, and both are genuine attempts of people trying to express the music, and express themselves through the movement. The same goes for if one should use the Accordion or the Bandoneon. Stanislav is a master disguiser. The difference in the sound of the Accordion and the Bandoneon is very difficult to distinguish if the Accordion player tries to match the sound of the Bandoneon. However the opposite is impossible. The Bandoneon has two main categories of sound: Right hand notes are bright and powerful and the left hand notes are mellow and softer. The left hand therefore provides accompaniment to the melodies of the right hand. The Bandoneon also does not play chords with one button like the Accordion. Ech note that makes up a chord, must be pressed down individually. This allows much more freedom in the voicing of chords, but also makes the Bandoneon a terribly complicated instrument to learn to play. The left hand buttons are arranged according to the Circle of Fifths – the most basic mathematical principal in musical harmony. 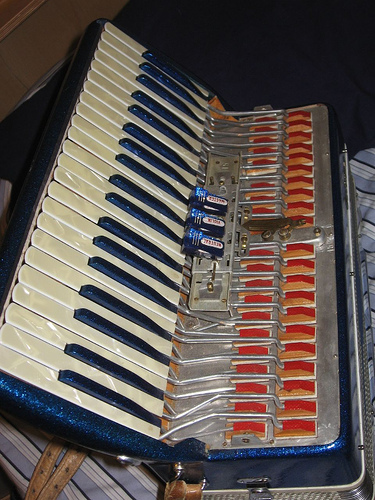 The Accordion on the other hand, has a piano-style keyboard, played by one hand, and pre-set chord buttons on the other.The Bandoneon represents one of the early stages of the evolution of the Accordion, and therefore it is technically less complex and costly to build. And it is true that the level of complexity of the musical material that the Accordion handles, can be higher – given the keyboard layout. This makes some of the more virtuosic – pianistic, if you like – passages, a bit simpler on the Accordion. The Accordeon therefore can play double notes as melodies, while providing ready made chordal accompaniments. In an Argentinian Orquestra Tipica, there is usually more than one Bandoneon playing, precisely to make the harmonies, and play passages in more than one voice. The virtuosity is visible and audible as these “worms” chase each other around the fast passages. The thrill is tremendous. 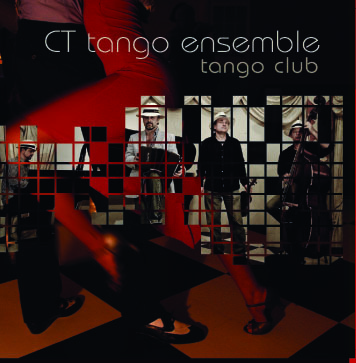 The CT Tango Ensemble’s new CD Tango Club, (released in 2010 on the Good Music record label – www.goodmusic.com) features Bandoneonist Stanislav Anguelov who also plays the Accordion on the recording. 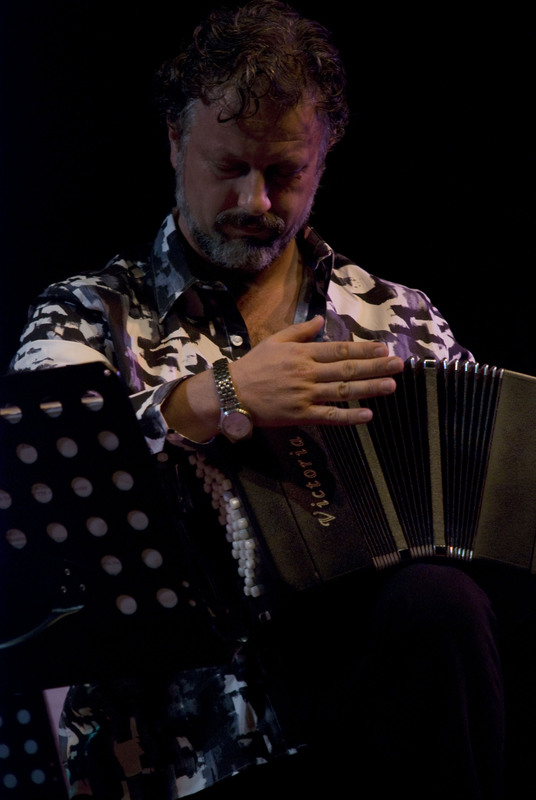 Stanislav studied the classical Accordeon in Bulgaria, but his involvement with Tango music created the desire to learn the instrument most associated with the Tango – the Bandoneon. 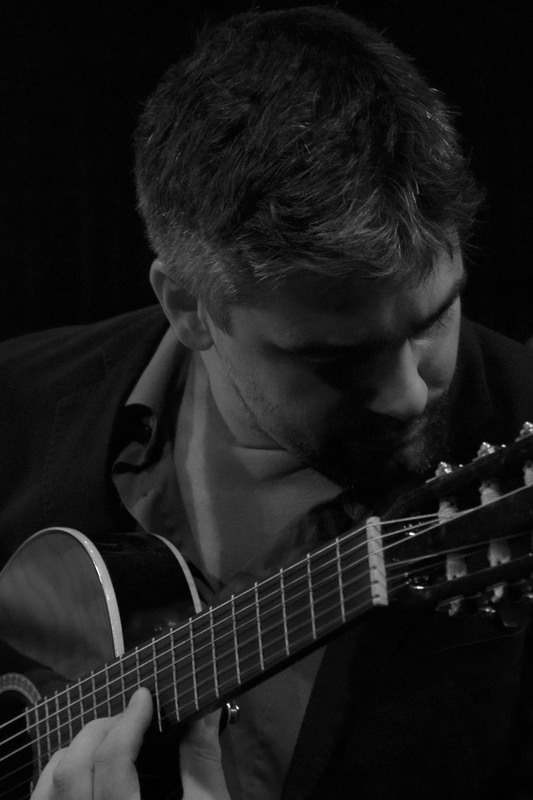 After our first Cape Town Tango Ensemble CD El Tango en Africa, Stanislav wanted to explore this instrument – as authentically Argentine and Tango as one can get, despite the German heritage of the instrument. 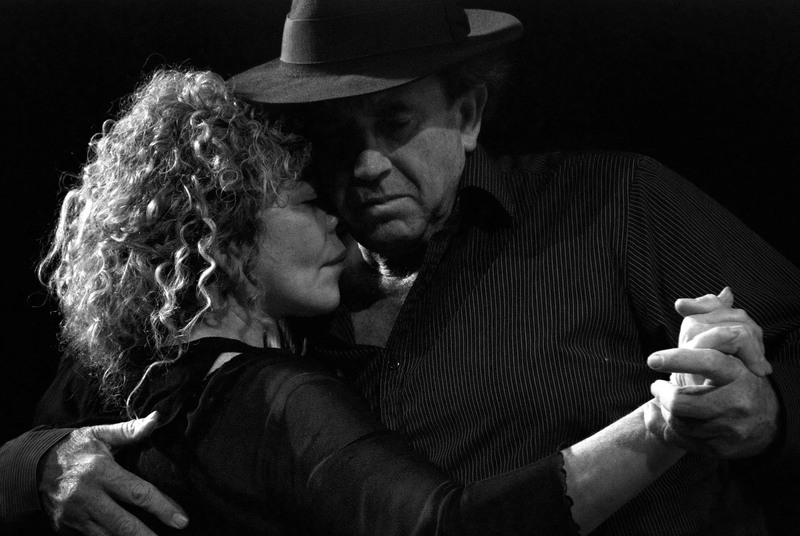 We have a drive to be as authentic to the spirit of Tango as we can, while having something new to say. We are an African group including Bulgarian and Polish Musicians playing Argentine music after all! At the Grahamstown National Arts Festival in 2001 our Ensemble had the great fortune to meet Argentine Tango Master, Composer and Bandoneon Mastro Prof. Riccardo Fiorio. He was extremely complimentary of the ensemble’s idiomatic playing, learnt through recordings, rehearsals and many milongas where we could get feedback from dancers. 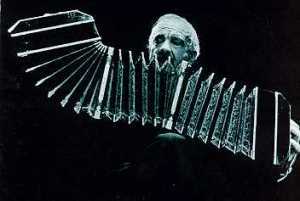 In particular, Fiorio priased Stanislav for using the Accordeon to imitate the playing style of the Bandoneon. This chance meeting led to a long friendship, and he even gave us permission to use his composition A Borges on our first CD. Stanislav bought himself a secondhand Bandoneon, and with charcteristic determination, started practising. 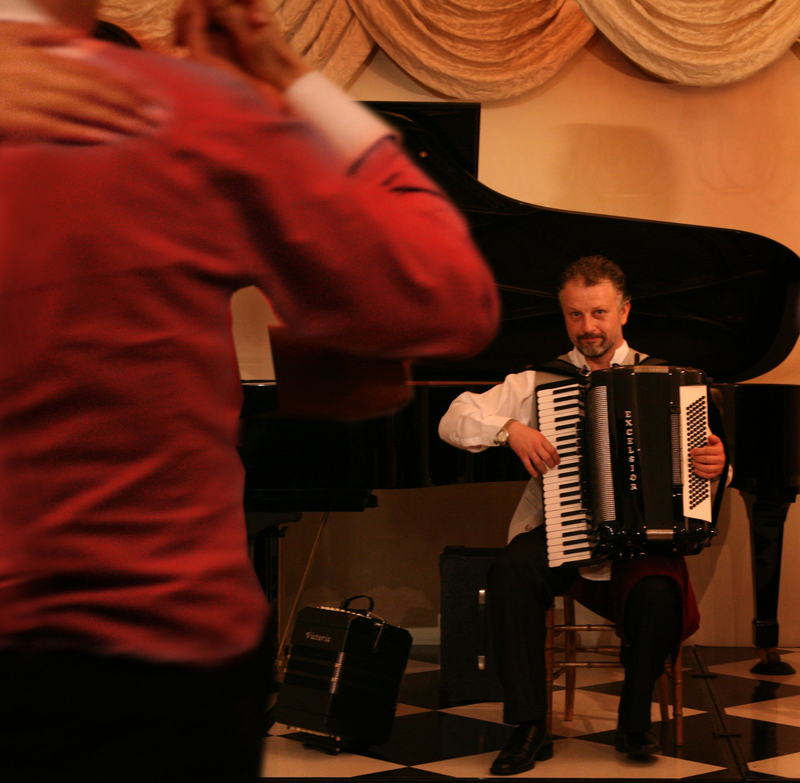 Feeling competent enough to benefit from world-class musicians, Stanislav packed his Bandoneon and in 2005 took the journey to the Land of Tango. It was an eye (and ear-) opening experience. He heard the finest tango orchestras: Sexteto Mayor, Hernandez Fierro Orqustra Tipica, Color Tango, El Aranque and many more. He had an intensive period of study with Riccardo Fiorio. He met the famous touring group Quatro Tango and also had lessons with the Bandoneonista Hugo Satore. When this group brought their show Tango Fire to Cape Town in 2006, another period of study followed. By then Stanislav was performing regularly on the Bandoneon in addition to the Accordion. The time had come to upgrade to a professional quality instrument. The bandoneon is a rectangular and square bellows instrument, using air pumped through a set of metal reeds, which creates the sound. It is a relative of the accordion and is popular in the Rio de la Plata, an estuary of the Atlantic Ocean in South America formed by the confluence of the rivers Parana and Uruguay, which serves as a border around the Argentine Republic and the Eastern Republic of Uruguay (300 km in length). 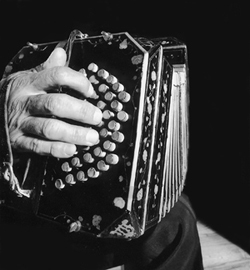 The bandoneon is strongly linked to the tango. The name of the instrument derives from the German Bandoneon and is an acronym for the name Heinrich Band (1821-1860), who was awarded the patent for the invention. 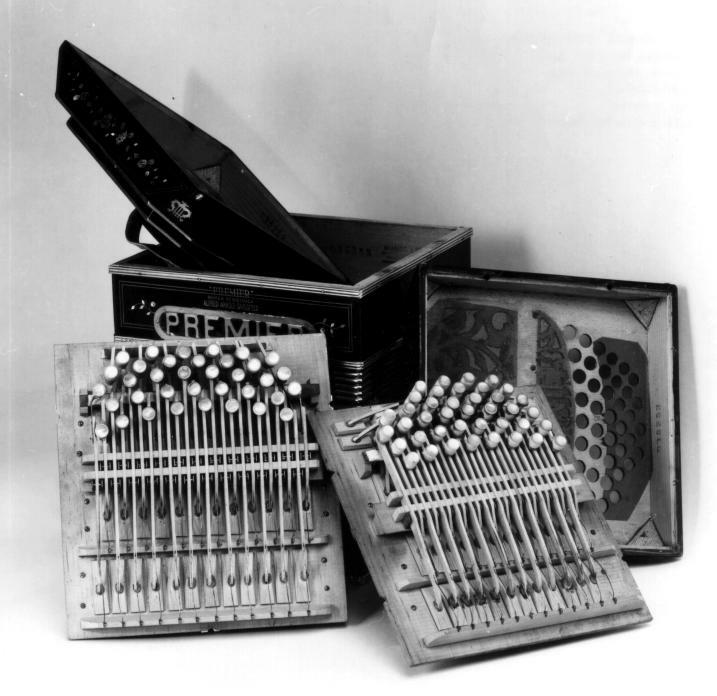 Between the two World Wars, the German Alfred Arnold created a large body of instruments of such quality that he is called the Stradivarious of the Bandoneon. 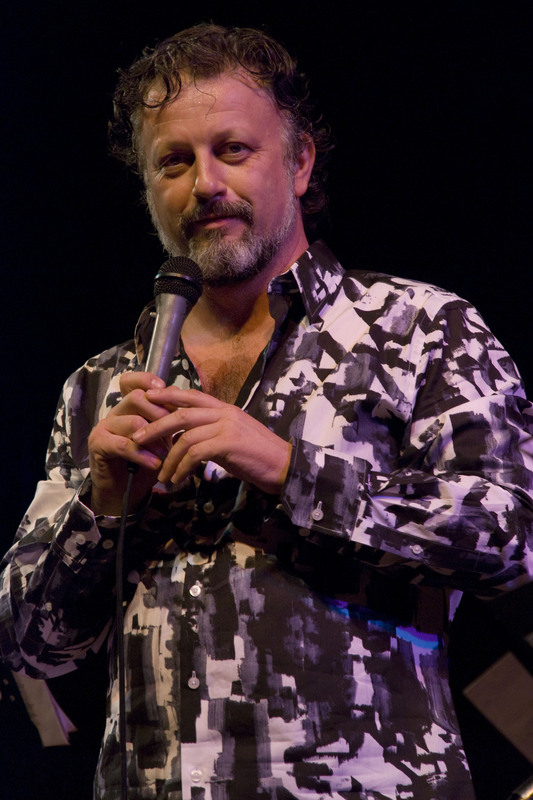 Popular opninion in Argentina holds that nobody does (or will ever) match Arnold’s instruments and owning a Doble A (Double A) is still considered the first requirement to being a Tango musician. The only problem is that some of Arnold’s instruments are by now a century old, and no amount of reconditioning and refurbishing can make them sound young again. The original parts just do not exist any more. These instruments are portable reed instruments – which means ironically they have more in common with the Oboe or Clarinet than the piano. They are delicate and the art of working on them is highly specialised. This means that a lot of the Arnold instruments played in Argentina are old and in bad shape. Stanislav decided to have his instrument hand-made at the workshop in Castelfidardo in Italy which they call Victoria – established already in 1919. Like the cutting edge of a knife, the bandoneon hurts first. However paradoxical it may seem, the bandoneon also constitutes the very heart of tango music. It is subtly bonded to the other instruments, forming a sort of nervous system which interconnects them and gives them life. The bandoneon breathes… systolic and diastolic forces make it almost human. Fortunately, it is unplugged by nature; therefore, one can feel it as an extension of one’s body. It requires opening and closing, that is, the vital mechanism… People open and close their mouths to eat. Sphincters open and close… People make love by opening and closing… People die: they close. People are born: they open. Opening and closing… the most perfect and inherently human mechanism. The two keyboards, interconnected by means of a bellow, a lung, can produce a virtually imperceptible, an almost inaudible pianissimo as well as a shrieking sound which can smash crystal into smithereens. The bandoneon has shown me the way to channel moods and direct tears. The bandoneon leverages one’s talent, it gives us a sense of completeness. And it becomes our secret confidant.